That first Bullmastiff, Merlin, was everything I expected from my memory and so much more. However, he had no interest in being a show dog. After a few attempts at showing in AKC Confirmation, I gave in to his preference to be the family dog. Not unexpectedly, after having gotten a taste of the show scene, I found my first show dog; a female, Gwen. 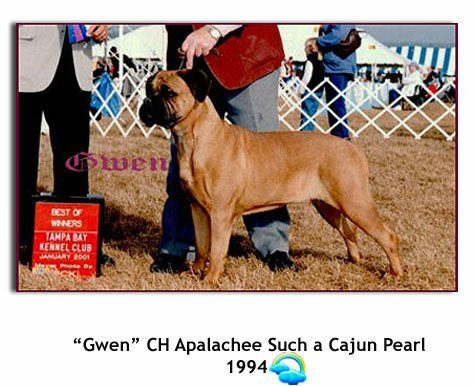 She was from the same line as Merlin and went on to earn her AKC Championship. 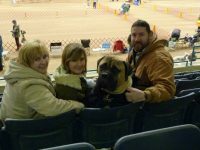 As my first Bullmastiff, Merlin’s name became the first part of the new kennel name; Gwen added the second part. Thus in 1995, Merlgwen Bullmastiffs came to be.